6.1. How Does It Work? The Pilgrim's Bounty event is the World of Warcraft counterpart of Thanksgiving. As a consequence, it always happens in November, around the time of Thanksgiving. Even though the event lasts a whole week, it only contains a handful of achievements to complete. For many players, the main incentive for participating is the very easy and very cheap Cooking skill-up (from 1 to 430) that the event offers. Also, the meta-achievement for completing the Pilgrim's Bounty does not count towards What a Long, Strange Trip It's Been. A number of achievements will automatically be obtained while doing these tasks. For the remaining achievements, we explain how you should proceed. Most of the event can be completed by characters of any level, provided that they have a high enough cooking skill (280). This is usually not a problem since the event enables you to easily increase your cooking skill from 1 to 430. One of the achievements requires players to venture in an Outland dungeon (on normal difficulty), something that requires level 55. Light's Hope Chapel and Ruins of Thaurissan. The event lasts for a week, but most achievements can be completed on the first day. Only Turkey Lurkey requires you to play for a second and a third day (to get the items you need to complete it). For 2014, the event will start on the 24th of November and will end on the 1st of December. The Pilgrim's Bounty only has one vanity pet and a few achievements to rewards players participating in it. There is also a reputation buff that some players will be interested in. The Spirit of Sharing is obtained by interacting with Bountiful Tables (see the related section of the guide). The reputation buff that it gives will interest players who are keen on grinding reputation. Turkey Cage used to be the only item rewarded by the Pilgrim's Bounty event. The 2014 event added a Frightened Bush Chicken (second pet), a Silver-Plated Turkey Shooter (toy), and a Fine Pilgrim's Hat (cosmetic hat for transmogrification purposes). Pilgrim: meta-achievement that requires all the other ones; it grants the The Pilgrim title and a Turkey Cage pet. This achievement does not count towards What a Long, Strange Trip It's Been. This event involves a lot of cooking, so if you have obtained a Chef's Hat (sold in Dalaran for 100 Dalaran Cooking Awards), do not forget to use it! Pilgrim's Bounty (Alliance/Horde) is given by commoners in capital cities and smaller towns. It takes you to the main Pilgrim's Bounty area for your faction: Stormwind for Alliance players and Undercity for Horde players. After completing it, you can take Sharing a Bountiful Feast (Sharing a Bountiful Feast/Sharing a Bountiful Feast), which will give you a first experience at sitting at a Bountiful Table. After completing these two quests, you are all set to enter the event. All of these recipes count for the Chef de Cuisine achievement (and all the other lesser achievements of the same kind). Once you have learned all the recipes, you need to cook them. All of these recipes, save one, have one ingredient that can only be bought in a specific capital city. Therefore, you will need to visit three of your capital cities to get this achievement. 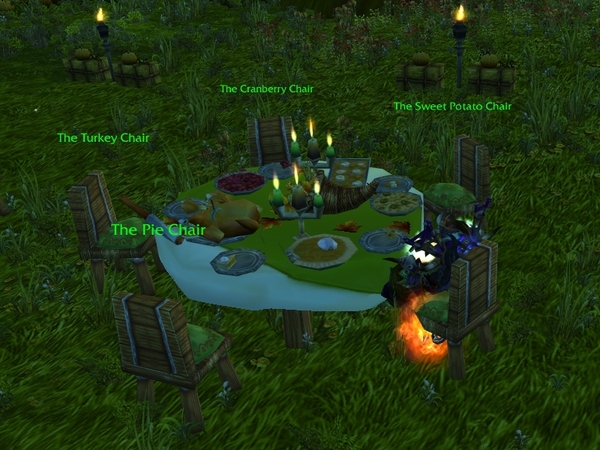 At the same time, you can also do the quest chain started by Spice Bread Stuffing (Alliance / Horde). Autumnal Herbs (which can be bought from the Pilgrim's Bounty vendors outside of capital cities, as the tooltip says. Make 10 Spice Bread Stuffings. 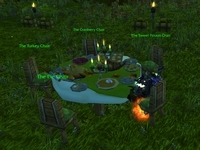 5 are needed to complete Spice Bread Stuffing (Alliance / Horde) and 5 are needed to complete another quest later on in the chain. 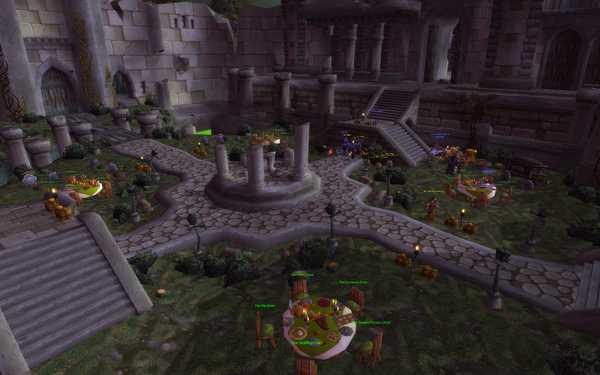 Hand in the food and get the follow-up quest, Pumpkin Pie (Alliance / Horde). Ripe Elwynn Pumpkin/ Ripe Tirisfal Pumpkin, sold by the Pilgrim's Bounty vendor outside Stormwind/Undercity. Make 10 (5 if you play Horde) Pumpkin Pies. 5 are needed to complete Pumpkin Pie (Alliance / Horde) and 5 are needed, if you play Alliance, to complete another quest later on in the chain. 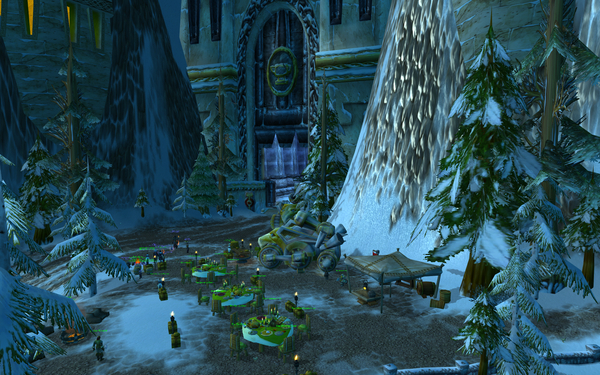 Go to Ironforge/Orgrimmar to hand in the food and get the follow-up quest, Cranberry Chutney (Alliance / Horde). Tangy Wetland Cranberries/ Tangy Southfury Cranberries, sold by the Pilgrim's Bounty vendor outside Ironforge/Orgrimmar. Make 10 (5 if you play Alliance) Cranberry Chutneys. 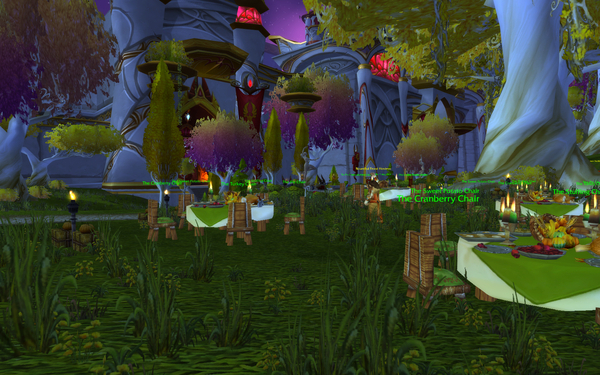 5 are needed to complete Cranberry Chutney (Alliance / Horde) and 5 are needed, if you play Horde, to complete another quest later on in the chain. 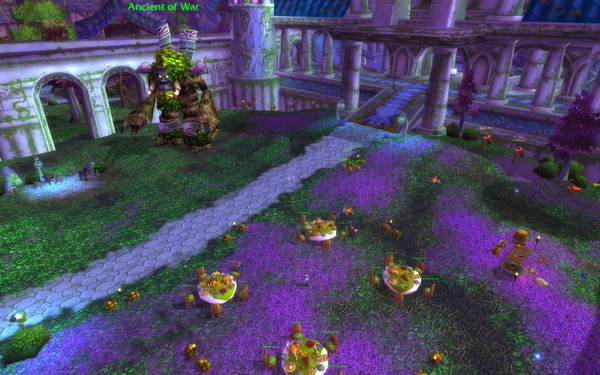 Go to Stormwind/Orgrimmar to hand in the food and get the follow-up quest, They're Ravenous In Darnassus (Alliance) or Candied Sweet Potatoes (Horde). This quest requires you to go to Darnassus and hand in the extra food we made you cook during the previous steps. Then, you will get the follow-up quest, Candied Sweet Potatoes. Teldrassil Sweet Potato, sold by the Pilgrim's Bounty vendor in Darnassus. Make 5 Candied Sweet Potatoes. Complete the Candied Sweet Potatoes quest and get the follow up quest (Slow-roasted Turkey). Mulgore Sweet Potato, sold by the Pilgrim's Bounty vendor in Thunder Bluff. Complete the Candied Sweet Potatoes quest and get the follow up quest (Undersupplied in the Undercity). This quest requires you to go to Undercity and hand in the extra food we made you cook during the previous steps. Then, you will get the follow-up quest, Slow-roasted Turkey. Wild Turkey, creatures that can be found all over Elwynn Forest and Tirisfal Glades. Hunters and Druids can track them with Track Beasts. Other classes can track them by eating Tracker Snacks. 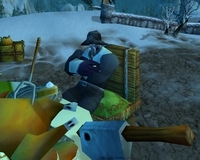 Make 5 Slow-roasted Turkeys then go to Darnassus/Orgrimmar to complete the quest chain and obtain your 7-day vanity item: Turkey Caller. You can use the cooking recipes from the Now We're Cookin' achievement to easily level up a character's cooking skill up to 430, as the ingredients can be bought without limit from the vendors and at a very low cost. Make Spice Bread Stuffing until you reach a Cooking skill of 100. Make Pumpkin Pie until you reach a Cooking skill of 160. Make Cranberry Chutney until you reach a Cooking skill of 220. Make Candied Sweet Potato until you reach a Cooking skill of 280. Make Slow-Roasted Turkey until you reach a Cooking skill of 430. 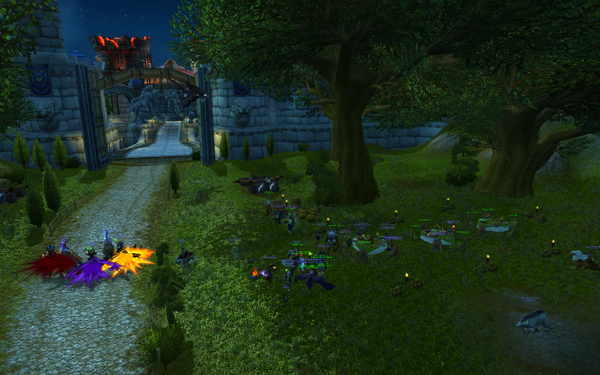 Can't Get Enough Turkey (Alliance / Horde). has a 9% chance to contain a Frightened Bush Chicken, Silver-Plated Turkey Shooter, or Fine Pilgrim's Hat. Mosts of these items are needed to obtain the Pilgrim's Peril, Terokkar Turkey Time, and Turkey Lurkey achievements. Below, you will find instructions for doing the daily quests efficiently (i.e., without having to keep traveling from one capital city to the other). Buy 20 Simple Flour, 20 Mild Spices, and 20 Ripe Elwynn Pumpkin from the Pilgrim's Bounty Vendor. Take the She Says Potato and We're Out of Cranberry Chutney Again? quests from Jasper Moore and Ellen Moore outside Stormwind. Hunt down 20 Wild Turkey in Elwynn Forest. Go to the Pilgrim's Bounty area outside Ironforge. Buy 60 Autumnal Herbs, 100 Honey, and 20 Tangy Wetland Cranberries from the Pilgrim's Bounty Vendor. Make 20 Spice Bread Stuffing and 20 Slow-Roasted Turkey. Take the Don't Forget The Stuffing! and Can't Get Enough Turkey quests from Caitrin Ironkettle. Complete these quests by handing in the 20 Spice Bread Stuffing and 20 Slow-Roasted Turkey that you have just made. Go to the Pilgrim's Bounty area in Darnassus. Buy 20 Teldrassil Sweet Potato from the Pilgrim's Bounty Vendor. Take the Easy As Pie daily quest from Mary Allerton. Complete this quest by handing in the 20 Pumpkin Pie that you have just made. Go back to the Pilgrim's Bounty area outside Stormwind. Make 20 Candied Sweet Potato and 20 Cranberry Chutney. Complete She Says Potato and We're Out of Cranberry Chutney Again? by handing in the food that you have just made. Horde players will need to travel more than Alliance players to complete these quets. Buy 20 Simple Flour, 20 Mild Spices, 60 Autumnal Herbs, and 20 Tangy Southfury Cranberries from the Pilgrim's Bounty Vendor. Take the Can't Get Enough Turkey and Don't Forget The Stuffing! quests from Ondani Greatmill outside Orgrimmar. Make 20 Spice Bread and 20 Spice Bread Stuffing. Complete Don't Forget The Stuffing! by handing in the food that you have just made. Go to the Pilgrim's Bounty area in the courtyard of Lordaeron, above Undercity. Take the She Says Potato and We're Out of Cranberry Chutney Again? quests from William Mullins and Roberta Carter. Buy 100 Honey and 20 Ripe Tirisfal Pumpkin from the Pilgrim's Bounty Vendor. Complete We're Out of Cranberry Chutney Again? by handing in the food that you have just made. Hunt down 20 Wild Turkey in Tirisfal Glades. Go to the Pilgrim's Bounty area in Thunder Bluff. Take the Easy As Pie quest from Mahara Goldwheat. Complete Easy As Pie by handing in the food that you have just made. Buy 20 Mulgore Sweet Potato from the Pilgrim's Bounty Vendor. Go back to the Pilgrim's Bounty area in the courtyard of Lordaeron, above Undercity. Make 20 Candied Sweet Potato. Complete She Says Potato by handing in the food that you have just made. Go back to the Pilgrim's Bounty area outside of Orgrimmar. Complete Can't Get Enough Turkey by handing in the food that you have just made. Doing all the daily quests will automatically complete the Pilgrim's Progress achievement. 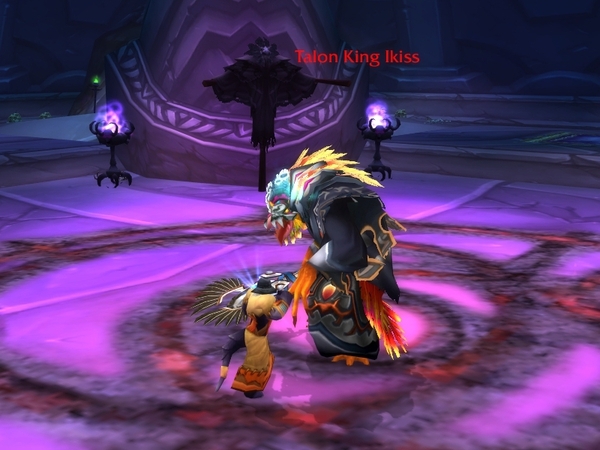 To complete Terokkar Turkey Time, simply wear a Pilgrim's Hat together with a Pilgrim's Dress, a Pilgrim's Robe, or a Pilgrim's Attire, and, in this outfit, go kill Talon King Ikiss in Auchindoun: Sethekk Halls. To complete Turkey Lurkey, you need to use the Turkey Shooter from the daily quest on 10 rogues, each of a different race. Note that the Turkey Shooter only has one use, so you will need 10 of them to complete the achievement. Finding rogues of your faction should not be problematic. For rogues of the opposing faction, we advise you to try the battlegrounds, the opposing faction capital in Pandaria, the daily quest locations for the various Mists of Pandaria factions, and the Timeless Isle. Bountiful Tables are found outside capital and minor cities during the Pilgrim's Bounty event. There are 4 achievements that you can get by interacting with them: "FOOD FIGHT! ", Pilgrim's Paunch, Sharing is Caring, and Pilgrim's Peril. Before explaining how to get the achievements, it is important that we detail how these tables work. In front of each chair, you will find a plate (possibly empty). If you are targeting an empty chair, then you will deposit food in the plate in front of this chair. If you are targeting a player sitting right next to you, then you will deposit food in their plate. If you are targeting a player sitting on the opposite side of the table or sitting at another table, then you will throw food at their face. Buttons 2 to 6 will make you eat a kind of food, if someone from a different chair had put some on your plate (by using their Button 1 and targeting your plate) or if you are sitting at the food's chair. Find a Bountiful Table with at least one other player sitting at it. Sit down at this table on the opposite side from this player. Target this player (or the chair they are sitting on), and pass them food (press the Button 1) repeatedly until you get the "FOOD FIGHT!" achievement (only a handful of attempts are usually necessary). Note that you can do the Sharing is Caring achievement while completing Pilgrim's Paunch, as we explain in the next section. To complete Sharing is Caring, you need to pass each of the 5 kinds of food that you can find at a Bountiful Table. The easy way to do it is to find an empty table and sit down on each of the 5 chairs, each time passing the food associated with the chair. To complete the Pilgrim's Paunch achievement, you need to eat the 5 kinds of food at a Bountiful Table, 5 times (this give the The Spirit of Sharing buff), outside each of the capital cities of your faction. The easy way to do it is to sit down on every chair at an empty Bountiful Table, every time passing the food to the plate in front of the 5th chair on which you will sit. When you sit down on the last chair, you can eat all the food that you have been passing 5 times. This also enables you to complete Sharing is Caring, if you pass the food from the 5th chair. 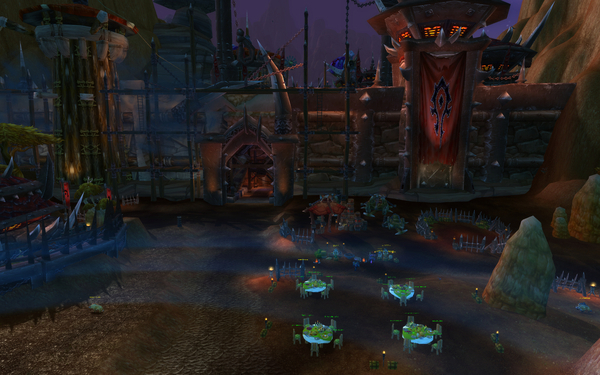 For Alliance: Orgrimmar, Undercity, Thunder Bluff, and Silvermoon City. For Horde: Stormwind, Ironforge, Darnassus, Exodar. In most cities, completing the objective will be made easier by the fact that the Pilgrim's Bounty area is outside the city. 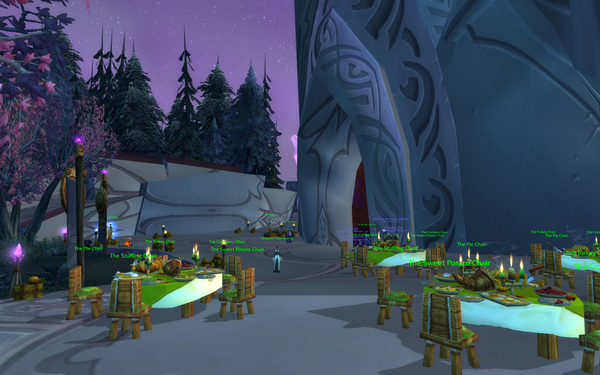 In Darnassus, however, the event area is inside the city, at the Warrior's Terrace. To make it easier to reach the tables, you can use a Lesser Invisibility Potion or do your attempts early in the morning. Completing the The Turkinator requires you to kill 40 Wild Turkey while never allowing 30 seconds to elapse between two successive kills. Basically, each time you kill a turkey, you get a new stack of a 30-second buff. If you allow the buff to drop, you have to start over. If you reach 40 stacks, you earn the achievement. 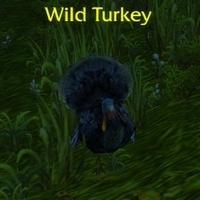 We do not advise you to attempt this achievement during peak hours, as you will struggle to find Wild Turkey in Elwynn Forest or Tirisfal Glades (the only places where they spawn). Go for the achievement early in the morning or late at night. Additionally, if your server has a very low population for the opposing faction, you can go to their area to hunt for the turkeys. If you are Alliance, try your luck in Tirisfal Glades. If you are Horde, try your luck in Elwynn Forest. The Venomweb Vale in Tirisfal Glades is perfect for the achievement, according to one of our readers. Replace Ice Lance by whatever instant-cast ranged ability you want to use to kill the turkeys. Hunters and Druids can track these beasts by using Track Beasts, while other classes can do so by eating Tracker Snacks. By the time you reach this conclusion, you should have earned all the possible achievements and the Turkey Cage reward that this event has to offer. We hope that you found the guide satisfactory and if you have any remarks, we would be glad if you could leave them as a comment below. 19 Nov. 2018: No update needed for 2018. 20 Nov. 2017: Cosmetic items can be used for transmogrification during the event. 21 Nov. 2016: No update needed for 2016. 25 Nov. 2014: Updated for 2014. Added new items that you can obtain from daily quests.